Discover the secrets of space and humankind's quest to learn about our universe. 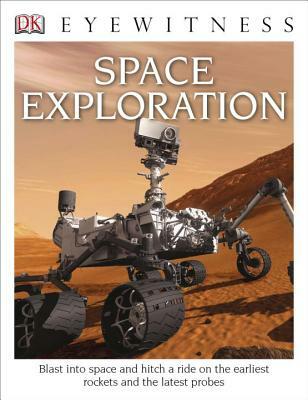 An informative guide to the mysteries beyond Earth and its atmosphere, Space Exploration takes young readers on a journey through the solar system and highlights advancements in space technology. Discover how satellites help us forecast the weather, how the Large Space Simulator is used to test spacecraft, what happens at liftoff and blastoff, and how the landing craft probes and explores planets. Learn about a day in the life of an astronaut including how a special sleeping bag helps them to sleep in weightless conditions, how astronauts repair an orbiting spacecraft from the outside, and how and astronaut's body is affected upon reentering the Earth's atmosphere in this updated edition of a best-selling title from the Eyewitness series.